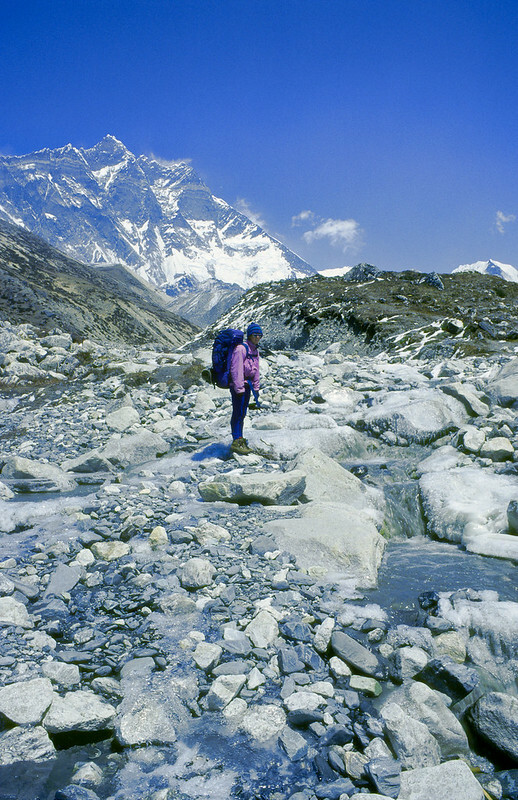 Read too may Himalaya/Everest books this Xmas, Recommend me a trek! This topic has 22 replies, 10 voices, and was last updated 6 years ago by ampthill. Just read ‘Into Thin Air’, some of ‘Into the Silence’ and am now embarking upon ‘The Climb’, all about Everest/the Himalayas, and want to start planning for a trek in the next couple of years. Assuming non-guided, 2-4 weeks, maybe taking in a ‘small’ peak, what are my choices? Have read up on the Annapurna circuit a little, I’m sure it would be fantastic but like to think I could do something a little less crowded, Has anyone any stories from the Great Himalaya Trail? It might be “organised” and all that but Exodus are now doing a trip to the South Col!! Annapurna is regaurded as the hardest to get up and is incredibly hard just to get to the base !!! Whilst your on it get No shortcuts to the top and K2 life and death on the savage mountain! Yeah… those sound more like mountaineering expeditions to me! Lots of options on the Great Himalaya Trail by the looks of it. 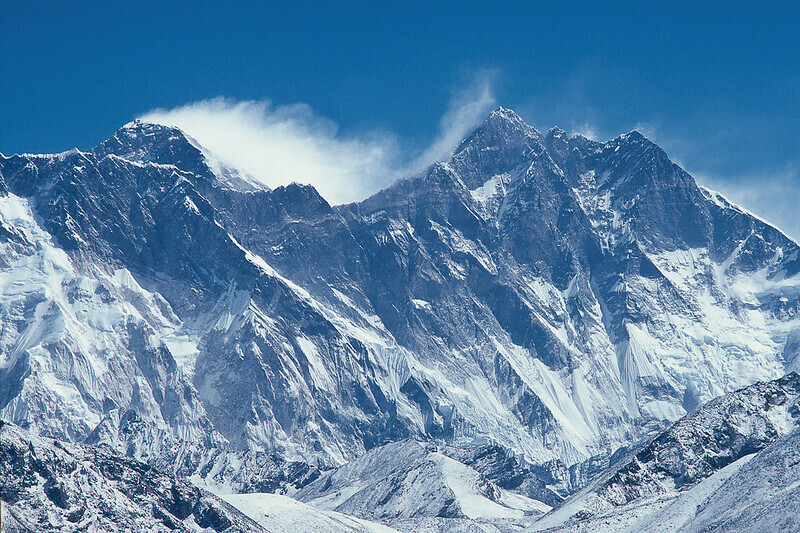 The great Himalaya looks good but i need to experience the challenge of getting up an 8,000m peak. call it my midlife crisis!! We’re all learning rather late on but anyone is welcome to join us only one of us has any real mountain experience!but we all have a lot of enthusiasm and determination. maybe come out to the alps with us see how you like it! My first real climb will be this winter. FWIW, my Mrs reckoned that the description of getting to Base Camp in Krakuaers book had a lot of, err, artistic license…. I went on the expedition Everest ride at disney world last week. Joe Simpson my arse! shism14, fair play to you all! I’m making plans based on the next two years in Canada hiking and biking, so I’ll not be visiting the Alps any time soon! Brack, it was a friend talking about the Annapurna circuit that got me thinking, I would just want to avoid the new roads which are apparently being built alongside a lot of the trail. 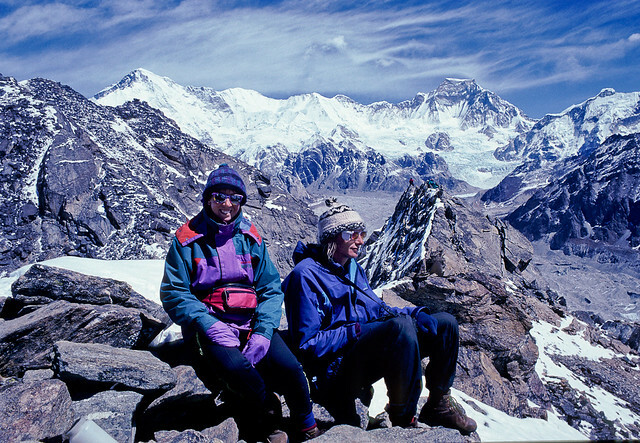 A few years ago the region around Gokyo Lake wasn’t too popular, not sure now. Still get good views of Everest. I’ve never been one for looking up at peaks, prefering to plan at looking down from summits. It’s maybe a bit limiting in outlook, given my limited ability and resources, but so be it. If Nepal, then look at the Trekking Peaks of Nepal guide/book (trekking being a bit misleading, they are mountaineering peaks for mortals). Also, plenty of reasonably easy Alps mountaineering with fantastic situations and views. She just reckoned he over-dramatised the whole thing. Still – he’s an author writing a novel, not a guide book, so I guess you sort of expect that. 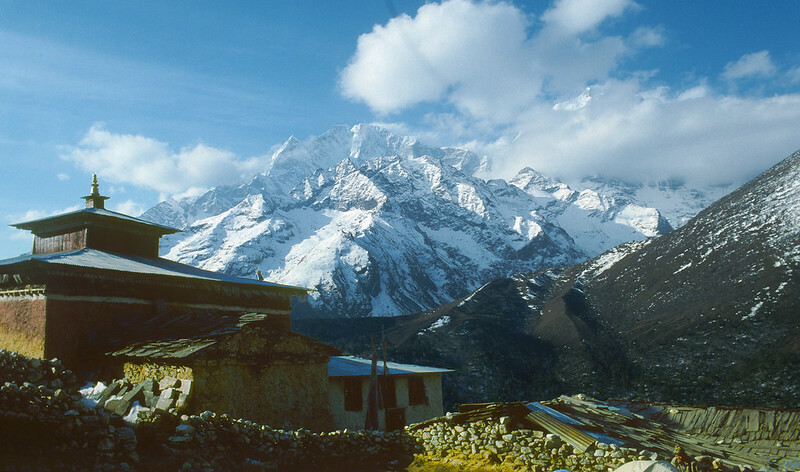 I would suggest the Garhwal which is India for a first Himalaya trip. 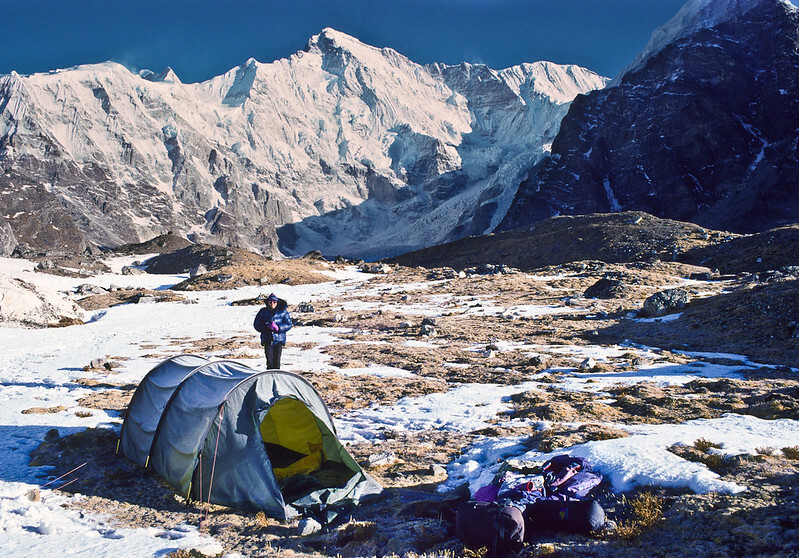 I read somewhere you could sign up with the Indian Army for one of their mountain skills courses , in the Himalaya, with their troops – quite tough as you live as an Indian squaddie but quite cheap. Wife and I did a big Trek round Khumbu (Everest region)and loved it. We did bits of tea house treking with no other Europeans around, busy bits and a few nights camping on our own. We started by flying into Tumlingtar. We then treked for 3 days to get onto the main Everest trail just below Lukla. We didn’t really see big mountains on this bit but we did 3 passes over 11,000 ft. We didn’t meet any English speakers for 3 days, lucky my wife brought a phrase book. We had one night camping and other nights were just in private houses. Although we did see a few larger lodges being built. 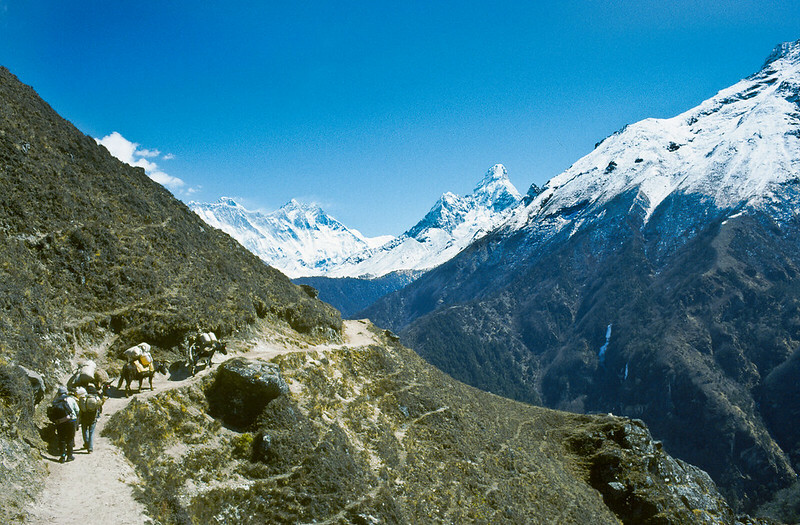 We also loved the busier trails around Namche and Tengboche. I liked the sense of a world with no roads. Namche was fun with places for coffee and eating out. We then went up the Chukung valley. 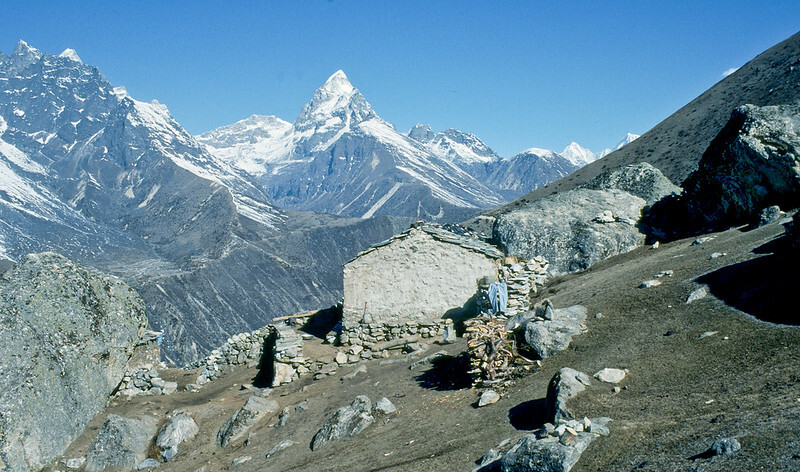 This is home to Island peak which is a very popluar treking peak. I don’t know whether you need permission for this, a friend did it and sai it was brilliant. But we really enjoyed wandering around and went up to high point on Chukung Ri, about 5,500m. 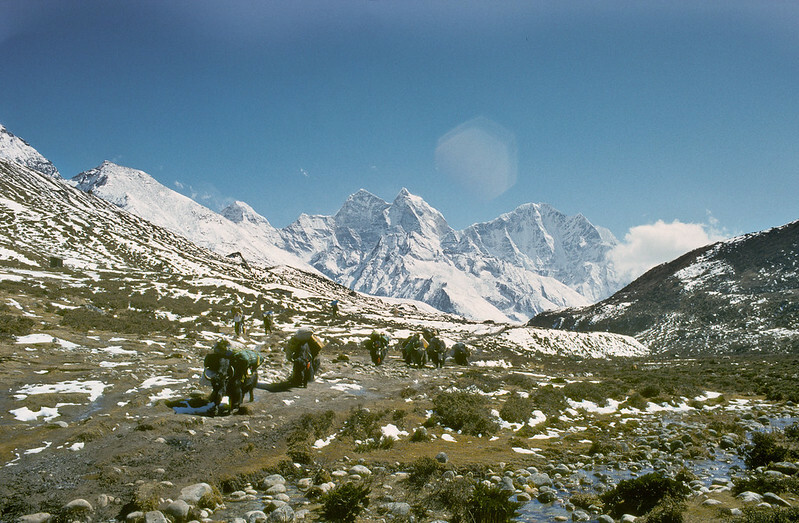 We then treked round to an uninhabited valley and camped under Ama Dablam. Next we headed up the Gokyo valley. That was the only place that felt really busy. Like everyone else we went up Gohyo Ri, which has great view of Everest. Unlike everyone else we went further up the valley and camped at Choyo base camp. Freezing but lonely and amazing. We planed to walk all the way out on the classic route but I got a cold and couldn’t shift it. Classic altittude. 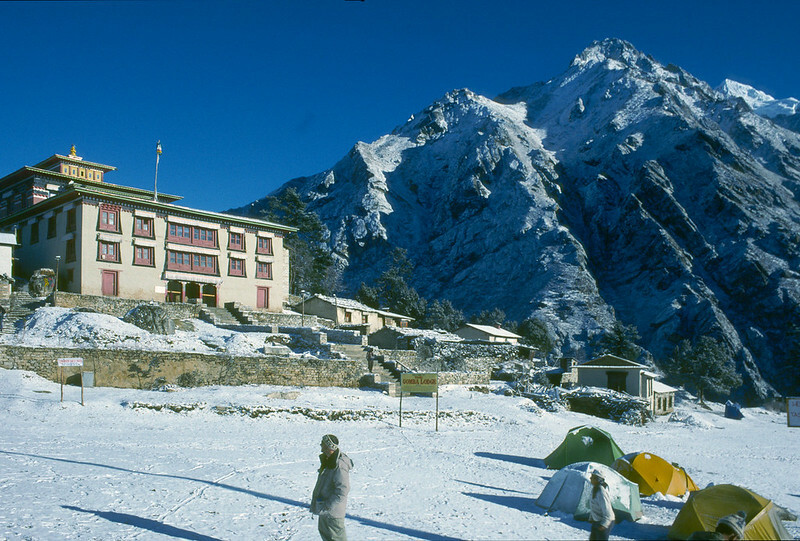 We hung round in namche but then admitted defeat and flew from Lukla by helicopter. All in all brilliant. I have done some Alpine Peaks and on that trip we had been rock climbing to HVS in Autralia and USA. 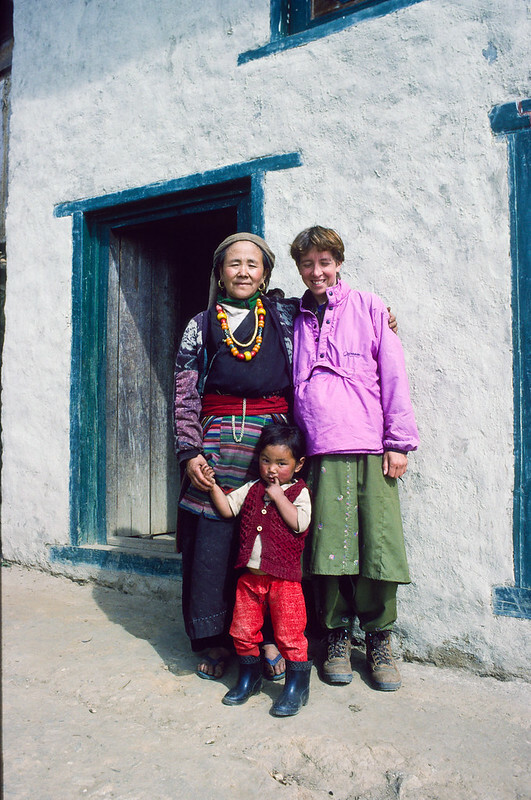 But in Nepal I was happy to trek. A pass with crampons would have been nice. I got scared high in the Himlalayas as a teenager and so was very happy not to be going up Peaks. That looks like an amazing trip amptill! Nepal is by far the best place I’ve ever been. The scenery is outstanding as you’d expect, but it’s the people who live there who provide the greatest memories. ampthill, that looks like exactly the sort of trip I was thinking about, I’ll certainly be plagarising some of your ideas if this becomes a reality! Druidh, I watched most of Cameron McNeish’s show about the SNT, I think I’ve done most of it in some shape or form, but will have plenty of time to pick off the bits I like. Didn’t see much else in particular on that feature that grabbed me, although my mate is just returning from the Andes after three weeks out there, I’ll be interested to hear what he has to say about it! The topic ‘Read too may Himalaya/Everest books this Xmas, Recommend me a trek!’ is closed to new replies.